At BADGER, we believe in building positive and mutually beneficial relationships with Aboriginal and Tribal leadership, communities, peoples and businesses. These relationships are based on mutual trust, respect, and transparency with the result of achieving common goals. Those goals include, but are not limited to, training/employment opportunities and profit sharing. We recognize the legal, constitutional and Treaty rights of Aboriginal Peoples in Canada and Tribes in the United States. We recognize that there are distinct Aboriginal and Tribal Nations with unique cultures, languages and priorities. 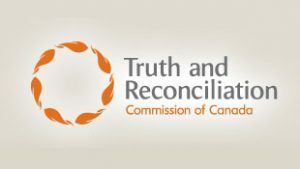 We commit to honest and transparent relationships with Aboriginal and Tribal Nations. We commit to working with Aboriginal/Tribal leadership and their membership to achieve benefits for them through training, employment, business development and business partnerships. BADGER commits to ongoing Aboriginal awareness education to our employees, affiliates and contractors on our principles, goals and commitments to ensure mutual success. Exceed industry and government expectations regarding Aboriginal and Tribal inclusion in projects and ongoing operations. Provide our Aboriginal and Tribal partners business and employment opportunities outside their defined lands. Sponsorship to communities that will have a direct impact on cultural and employment initiatives. Alignment of like-minded businesses – Aboriginal/Tribal and mainstream. BADGER has engaged an Indigenous and majority owned/operated advisory and training firm call Straight Talk Aboriginal Awareness Training Inc. to assist and guide us through the complexities of working with the Indigenous Peoples and communities of North America. From this we now understand that our team has a significant amount more to learn and do in order to develop relationships, along with the earned trust and respect of Indigenous Peoples, communities and businesses. Thru Straight Talk’s proprietary five (5) module e-Learning platform, BADGER’s senior management team and operational managers have already received full certification in this 4.5 hour program called STAAT (www.staat- training.com). It is important to note here that our outlook and understanding has changed dramatically toward North America’s Indigenous Peoples as a result of this unique and informative certificate program. BADGER’s senior management team has learnt and is beginning to examine how they can attract and retain employees from the 50% of Canada’s Indigenous peoples that live in urban centres across Canada. BADGER’s efforts to grow and diversify our business and workforce is one of our key strategic goals. Thus, it is prudent to identify, hire and retain Indigenous men and women regardless of where their home reservation or settlement is located. BADGER works with and around a variety of infrastructure owners and/or their associated prime contractors throughout North America. By way of the Jay Treaty of 1794 members of BADGER’s team that are defined as Status Indian under the Indian Act of Canada can ‘seamlessly’ work on both sides of the US/Canada border. This can be of significant benefit to contractors completing construction activities in the area of the Canada/US border and generally provided greater efficiencies and cost savings. BADGER will make reasonable and good faith efforts to procure goods and services from any qualified Indigenous contractors/suppliers that are located in close proximity to any or all projects we are working on. Furthermore, BADGER anticipates continually identifying high quality suppliers and/or subcontractors that are Indigenous businesses on an ongoing basis. In these cases, whenever and wherever pragmatic we will procure goods and services from these businesses regardless of where the project work maybe located. A majority owned (51+ %) Indigenous Business located on or off of reservation or settlement lands. An economic development corporation, business or similar structure that is either wholly our majority owned by either a First Nation, Tribe, Metis Settlement, and/or Tribal council. A sole proprietorship or corporation where the owner/shareholder of the business is Indigenous as defined in Section 35 of the Constitution Act of Canada or by other recognized definition under Canadian law or the equivalent US laws. BADGER will utilize Tribal Businesses and follow the guidelines set out by the SBA to ensure any and all regulations are met regarding Tribal businesses and their ‘Super’ 8 (a) status. As in Canada, all reasonable commercial efforts will be made to ensure BADGER’s relationships with Tribal Peoples, communities and businesses are: transparent; respectful; built on a foundation of trust; and, socio-economically mutually beneficial. As stated above, BADGER has only just begun the process of building mutually beneficial business relationships with Indigenous Peoples, communities and businesses throughout North America. BADGER is actively seeking alliances through partnerships with Indigenous Peoples, communities and businesses. While this process can take several months to years to complete, BADGER is proud of the fact that have already entered into five (5) formal business agreements through businesses that are to the benefit of the members, in Alberta, Saskatchewan and Manitoba.These formalized relationships are synergistic to the Indigenous training, employment, procurement and partnership goals set out above. Furthermore, these alliances are located in areas with high concentrations of industrial (Mining, O&G processing and transportation; Large commercial development, etc.) and government business activities where BADGER’s services are most often utilized. Through alliances, partnerships and synergistic subcontracting opportunities, BADGER is confident that we will increase the level of the Indigenous Peoples and communities participation through the efforts outlined above on a project by project basis.